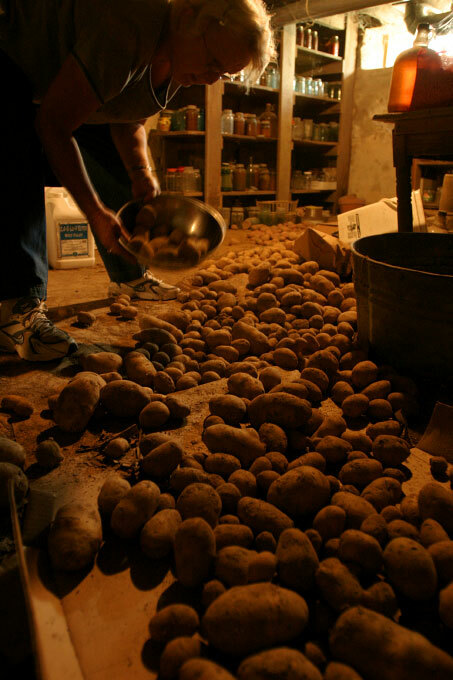 Marilyn spreads her homegrown potatoes on the cellar floor, whose coldness and dryness lengthens the tubers’ shelf life. With the exception of corn and soy crop, the Loehnigs eat everything they grow. They can and store sauerkraut, jams and meats.